Directing intraoperative neurophysiologic monitoring (IONM) is a patient care activity for which no formal training programs exist, even though the need for well-trained practitioners is readily evident while caring for patients with diseases of the brain, spinal cord, spinal column, or nervous system. Here, we present the theoretical basis and institutional experience for a successful model of learning a new and complex set of skills: the medical direction of IONM. 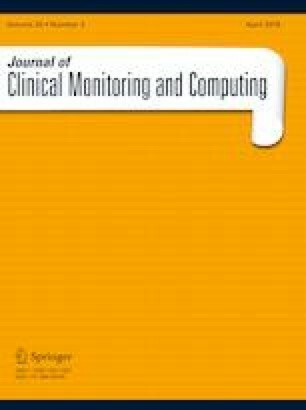 In a major academic institution, a clinical community of practice absorbed new members with professional backgrounds ranging from a recent neuroanesthesia fellowship to several decades of neuroanesthesia practice and trained them in a collaborative cognitive apprenticeship model to medically direct IONM. Our community of practice comprises experienced technicians, a diplomate of the American Board of Neurophysiologic Monitoring (DABNM), and six neuroanesthesiologists. This group forms the base of the scaffolding or structure where the apprenticeship and learning take place. The clinical community of practice has trained eight new members in the medical direction of IONM. The group has also trained four outside anesthesiologists—one of whom went on to become certified as a DABNM—who went on to develop the IONM program at a major children’s hospital. This collaborative cognitive apprenticeship in anesthesiology to learn the medical direction of IONM is quite innovative as it integrates new members and expands the range of existing ones. In our model, the entire community is elevated by the reciprocal interactions of master clinicians, novice apprentices, and the community of practice. We thank Corey Astrom, ELS (Department of Anesthesiology, University of Florida, Gainesville, FL) for her expert editorial assistance. Support for this paper was provided solely from institutional and/or departmental sources (Department of Anesthesiology, University of Florida College of Medicine, Gainesville, FL). No authors declare any relevant conflicts of interest within the past 36 months. Gawande A. Personal best. The New Yorker. October 3, 2011. http://www.newyorker.com/magazine/2011/10/03/personal-best. Accessed April 3, 2017. Wilson SB, Rogers B. Improving retention at the UMKC School of Medicine. https://www.umkc.edu/provost/student-retention/retreat/som.ppt. Accessed April 3, 2017. American Board of Neurophysiologic Monitoring. Policy and Procedure Manual. Requirements for Application: http://www.abnm.info/ppIII.htm. Accessed December 5, 2018.